State Rep. John Kowalko is seeking his seventh term in District 25 but first must survive a challenge from political newcomer Bryan Rash on Tuesday. He accused Rash of running a negative campaign instead of focusing on the issues, which he said is a “wasted opportunity” because the best part of having an opponent is getting to have an exchange of ideas. “It’s disrespectful to run your entire campaign with negativity,” he said. 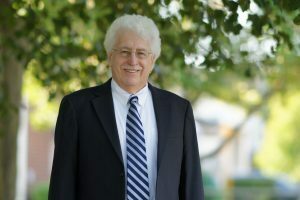 Kowalko said that if re-elected, he would continue working on improving government transparency by introducing legislation to reform the state’s LLC licensing procedures and once again hopes to remove the University of Delaware’s Freedom of Information Act exemption. “I think I’m getting closer,” he said, predicting the FOIA legislation would pass if the house leadership allows it to get to the floor. Kowalko said increasing funding for education remains a priority as well. “We’re starving the system to death,” he said, adding that, if re-elected, he plans to introduce legislation requiring charter schools to return any unused transportation funding to the state, a move that he estimates would save $1.25 million to $1.5 million each year. Kowalko also hopes to hold a hearing on the much-ballyhooed Bloom Energy deal, which has already cost Delmarva Power customers $200 million and is expected to cost ratepayers another $700 million by 2033.